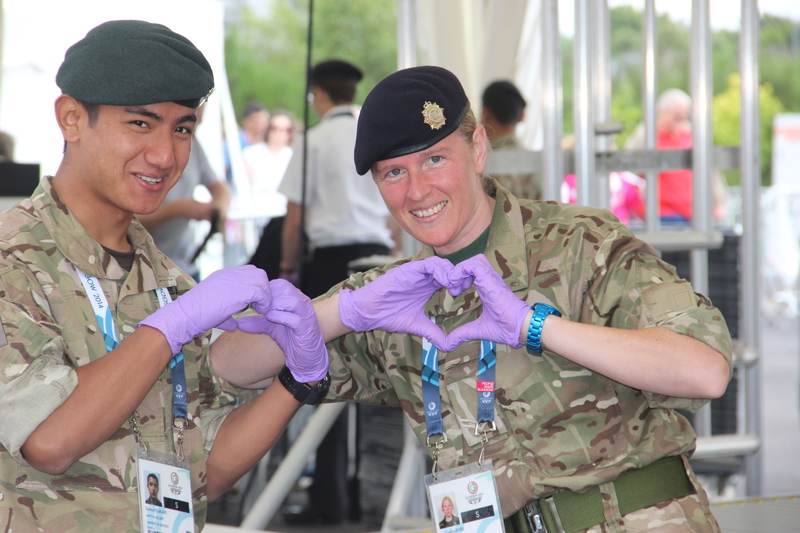 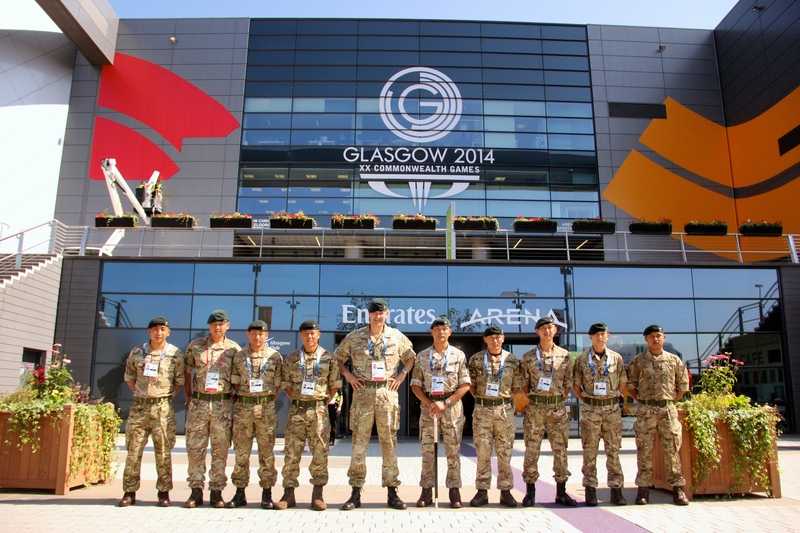 Nearly 250 Gurkhas from 2 RGR were deployed to Glasgow for the 20th Commonwealth Games for the last two weeks of July to provide security support to the Scottish Police and the Scottish Assembly. 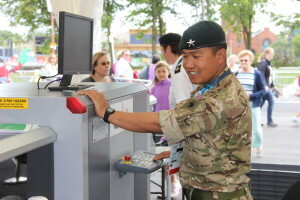 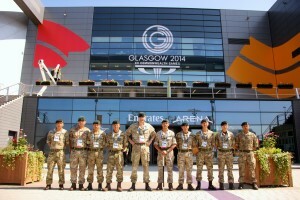 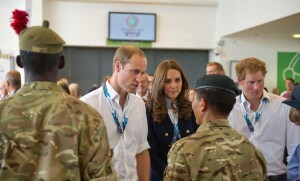 The Commonwealth Games security operation, called OP COMET, saw the troops from the Regiment’s A Company and Sp Company providing security for the Scottish Exhibitions and Conference Centre (SECC) – the main venue for the indoor events of the games – from 17 July to 3 Aug 14. 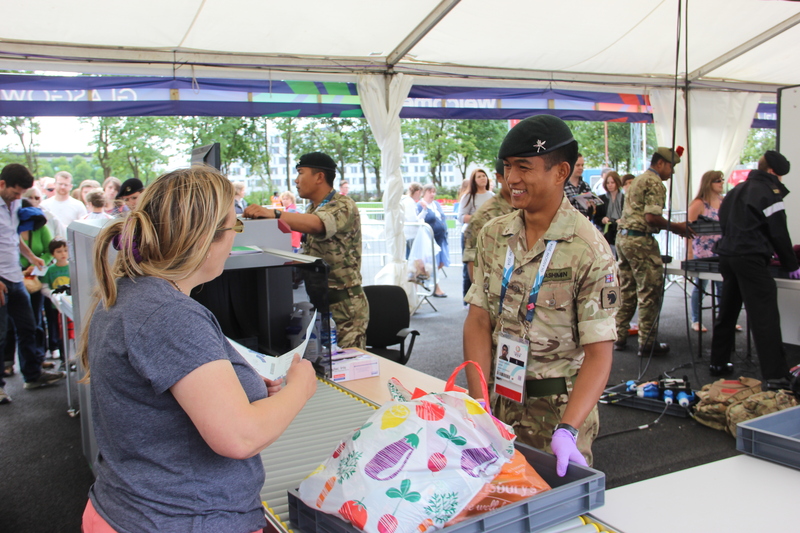 Ensuring the safety of over 6,500 athletes and more than a million spectators has been the focus of a meticulous combined safety operation that has been years in the planning. 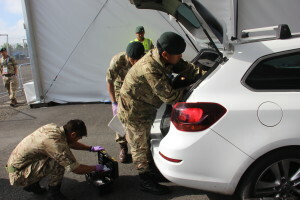 The security officials from 2 RGR carried out daily eight-hour long shifts to ensure that the venue was safe from any disturbances. Despite being busy trying to conduct a huge number of searches without causing undue delays to the public, some of the soldiers even had chance to take pictures with the VIPs and other celebrities when they came through the security area. 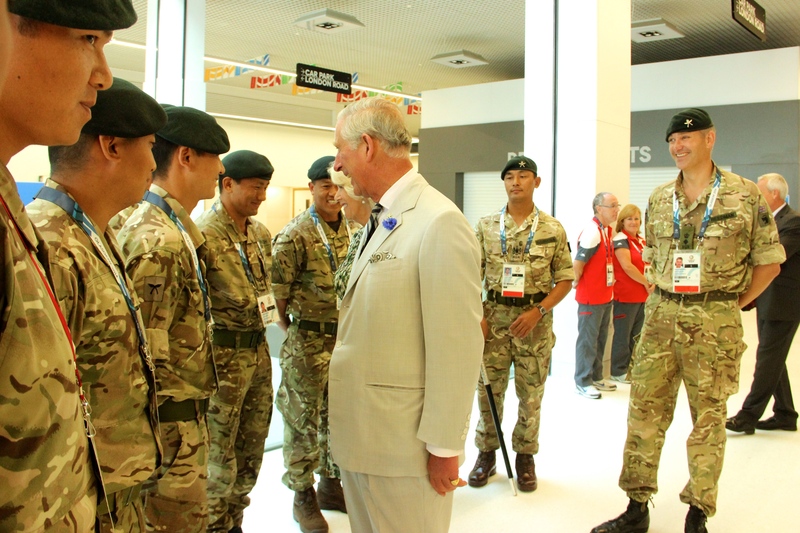 Prince Charles, Prince William, Prince Harry and the Duchess of Cambridge all visited the site to speak with the soldiers and have their photos taken. 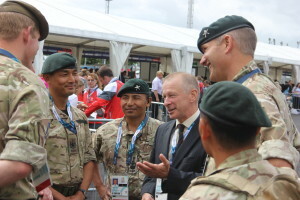 The soldiers were rewarded with an extra bonus of free seats to witness some of the spectacular events taking place throughout the fortnight-long event.